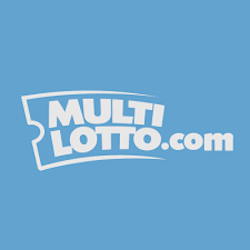 Multi Lotto.com , the internet lotto provider has secured a content deal with developer giant NetEnt. MultiLotto will now be offering NetEnt casino games for both mobile and desktop players along with a few progressive jackpot titles which should be a great fit for the site’s fanbase. Marcus Cordes, MultiLotto’s COO said that they signed the content deal with NetEnt as they already support some of the world’s biggest operators and they have a fantastic library of critically acclaimed games. He further said that this partnership will certainly help the company grow as their players are more than open to some casino gaming action at MultiLotto.com. MultiLotto is already supported by some of the best developers including Yggdrasil and Quickspin. The site’s popularity is sure to grow once the NetEnt library goes live. MultiLotto made headlines in November when they donated £10 000 to a Glasgow charity which helps local people grow their own food. The Shettleston Community Growing Project was picked by MultiLotto to be this year’s recipient of their charitable collections. Project Coordinator Marion Bate was overwhelmed by the donation as the funds are not only much needed, but she was retiring the end of that same month so she as happy to go out on a high note. MultiLotto has also seen a lot of success this year thanks to their “I Quit” marketing campaign. In October the company sent out driver in a car that had a variety of slogans spray painted on it. It was a brand new, white Mercedes E Class with roughly painted lettering proclaiming terms like “Up yours, I quit” and “Worst boss ever”. Naturally this soon spread across social media like wildfire. Multilotto eventually let the cat out of the bag that it was a marketing campaign to encourage visitors to their site, implying winning one of their offered lotteries will set you free financially. The campaign was based on research done by MultiLotto. They found that 51% of Britons wanted to quit their current job. A third said that they would quit immediately if they could and one person even said they would spray paint their boss’s car with the words “Up Your I Quit” which kick started the campaign. MultiLotto certainly appears to be reaping the rewards now, despite UK regulatory bodies talking about blocking UK access to European lotteries.